Predicting stock markets to some extend is easy and we do not need software to make money in stock markets. We will read that later but before some updates. Click here to read my previous newsletter. Prediction 3: 7600 will be a great support – Nifty bounces back exactly from 7610. Note for traders who have done my course: Check your profits and if they are reasonable enough, please close the trade and enjoy the profits for a few days. Read the course document given to you, if the strategy 1 is even slightly close to where we need to book profits – you should close the trade. Do not enter immediately after a 10% fall in VIX. Wait for a rise and enter again. Good traders are ones who wait for the right opportunity to make money. We all know money cannot be made everyday in stock markets – yet we like to trade everyday. Most of us lose. So learn to stop the urge of trading for the sake of trading. Markets for sure will give us enough opportunities. Learn to be patient and wait for that opportunity. Believe me if you do this and take only 15-20 max Strategy 1 trades in a year – you will make money more than 90% of the times, even though I promise only 80%. With practice you should be able to make money almost every time you trade. But patience is required. Remember no one can teach patience. Its ok if the profits are small, at least its better than losing money. Predicting Markets with Some Accuracy Is Possible. A Software is NOT Required. Lots of people must be thinking how can I predict things which such accuracy. Frankly it has more to do with experience that anything else. VIX will fall after a big news – this is plain common sense. Nothing further to discuss. 7600 a good support: At 7600 almost all good blue chip stocks were at very attractive prices. Some of them were hitting at 52-week low. BUT here is the most important part – there was nothing bad in our economy that led to stock markets falling. Somewhere down the line greed and hope will kick in. You must know that it is mostly the stock buyers and sellers who move the markets NOT the derivative traders. 8900 to 7600 is a great fall in a few months and somewhere Nifty had to bottom out. It could have gone to 7500, it can go there in Future as well but the news was really not that bad except for the FED rate hike which the markets had already factored in. 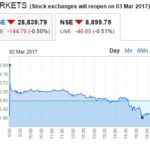 Not much move in Nifty: Refer to this article. Basically Nifty traders would have been worried if FED increased rates by 0.50% or more. But chances of that were NIL. So it is very easy to assume that Nifty will not move much as the markets would have already factored that in by Wednesday’s close. As you can see for these things software are not required. I fail to understand why people spend lakhs on software to make money in stock markets. I do not see any retail trader making money because a software did a great job while he was having his lunch. A few years back I invested 5 Lakhs in a properly back-tested system to make at least 5% a month on average whatever happens to Nifty. This was by a GIANT BROKER in stock markets. (I still hold their Demat acc though with zero cash balance). At that time you could invest 5 lakhs in a PMS (Portfolio Management Service) – that was the last 5 lakhs I had. After that I had to take a personal loan to survive. Anyway, I think today the minimum is 10 Lakhs to invest in a PMS. If you are thinking to invest – just don’t do it. Long story short, after 6 months Nifty was up by 5% and my investment was DOWN by 1%. Hey dint the back-testing say it should have been up by at least 30%? After all I was sold on those lines nothing else. Forget 30 – at least match Nifty, how can they be down by 1%? When I called and asked them the same questions – all I got was lame excuses like a kid gives to his teacher for coming late to school. I think they are given coaching to lie as well. I got so angry, I closed my account in few days. Even closing MY account was a bad experience. I had to email them 3 times, courier documents and call them 5 times and had to literally shout at them to close MY ACCOUNT TO GET MY MONEY BACK. What a horrible experience. I got back only 95% of the value of my money. There was management fees, taxes and blah blah. You get the point. If Automated Trading Software Made By By A Giant Stock Broking Company With Crores of Rupees and Great Human Resources Did Not Make Money For Their Subscribers How Can You Expect To Make A Sofware With A Few Lakhs That Can Spin Money Out of Stock Markets For You? Stop dreaming please and save your hard earned money for better things. Invest in knowledge. Buy books or read online about stock markets. Again I want to apply some plain logic here. The greatest investors in stock markets NEVER used any software to predict stock direction or markets movements. But they made millions. Other than making smart looking charts, BELIEVE ME, these software can do NOTHING. Had you bought some great stocks 3 years back and did nothing – your money would have by now more than doubled. Do you need any software for that? Who doesn’t want to make easy money? No I don’t. Almost everyday I get calls from someone selling a trading software to market their software to my subscribers. For that they are willing to cough-cough “pay me well” to sell these software to you. You know what I just need to send one email and at least 10 people will buy. If they are willing to pay me Rs.5000/- for one sale, I make a cool Rs. 50,000 /- per month for doing nothing. How good is that? But yes I am kicking that Rs.50,000/- per month easy money good bye just because I do not want to make fool of you. When I am myself against using any software – how can I recommend a software to you? No I do not need that easy money by fooling people. You must have noticed – I do not even advertise on my site. That again can make at least Rs.20,000/- per month. Combine the two and we are talking about saying good bye to Rs.70,000/- per month or more than 8 Lakhs a year. I am doing ok, I can feed my family well, I can give my two kids good education, and I am very happy in my life. I have set my goals and achieving it. I don’t need more. Easy money only makes life miserable. One thing will lead to another and ultimately everything will collapse. Greed knows no boundaries. I know how much I need, when and why and I am working towards my goal and succeeding. Whats the need to change the path? May be I will retire with 20 or 30 lakh more – but that money will not make me happy. So why bother? Take calculated risk – never ever always be in the markets. Spot opportunity and get in. Take profits out and stay out. Wait for next opportunity. Do not spend money on software. When you cannot make money how can a software make money for you. Save your money for better education on stock markets. Stay away from Greed. Do not be greedy for no reason. It can only create a mess and take away happiness from your life. In stock markets it leads to losses. Plan your life, plan it well and work towards your goals. Everything will fall in place eventually and you will be happy. I recommend my course because it will help you to trade well and in peace. You will know a lot of stuff that you did not know earlier. It is just not the strategies but a lot more to learn. Absolutely no software required after doing the course. Click here to read about my course. Have you ever invested in a software and made money? Or did you make a loss? Please let me know in the comments. Really Really a great Round of applause from my side Sir. It’s 1000% true that u r helping & awaring People by writing such articles. And Yes it is also true that Software can’t make money. Thanks Abhishek. Yes I really hope people stop looking for that magical software that does not exist. Kudos to your view and thinking sir. I really proud to be your subscriber. 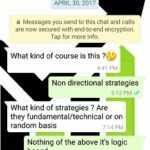 leave the matter of making money in option trading using your strategy, because that is business. But i appreciate your morality and genuineness. How many people in the money making world of stock market would have taken this type of decision? the answer is big NO. You are not greedy but know very well how to earn money slowly and steadily. I think you are not chasing money but money chasing you because of your KNOWLEDGE. Thanks Ragunathan. Greed made my life and my family’s life miserable – very miserable indeed and I don’t want to repeat that mistake again. Money is important, no doubt about it, and like others even I want to make millions – but I want money that comes with hard work, intelligence, and earned with good morals. If I come across a genuine software that can help make money for my subscribers I have no issues promoting it. But I really doubt anything like that exists. Like ur ethics. God bless U.
I never invested till now in S/W . I even dont accept any free tips promotion offer .. why should i have it ? Its a very easy trap to get in . But i wont say dont use it . Depends on your level & what you trade you can use charting S/W.. But No trading S/W unless you are earning already good bucks ..
Good to know that. Yes free tips offers should be rejected because mostly they make money only on those 2 days and only on the mobile. After that once you pay its losses all the way. If you are already earning good bucks, why should you invest in a software anyway? I don’t think one can invest 50 lakhs in a trade just because a software gave a buy signal. For 1 or 2 lots its foolish to invest in software. your self restraint is really worthy of praise. I thank Almighty to have given me light in the form of you. I am sure almost all other traders would feel so. Thank you Nabin. Through this website I am telling the truth which many companies hide to make money. I don’t know how many of my readers are listening, but I try. Greed is such a bas**** that you always think that you will make money and you always lose, still Greed just does not go away. I have learned to control that – and I think anyone can do. People do not know that they can still make money without being greedy. In fact minus greed you feel very light and happy. I hope at least a few people benefit from this post, like you said, else I am writing in the dark.